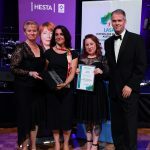 The inaugural Leading Age Services Australia (LASA) Excellence in Age Services Awards recognising an outstanding organisation, team and individual were presented at its National Congress in Adelaide on Tuesday 30 October. Outstanding Individual Award winner Claire Abbott, a nurse practitioner at Peninsula Villages on the New South Wales central coast, collaborates with local visiting GPs in providing care, services and treatment plans to residents. Carer Health and Wellbeing Coaching Team, from CarerLinks North in Melbourne, took out the Outstanding Team Award for their coaching program to enhance the caring relationship through a focus on the health and wellbeing of the carer, which may include nutrition, physical activity, stress/mood, fatigue/sleep and chronic disease management or prevention. 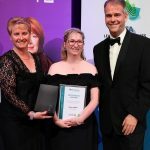 The age services provider who has made an outstanding contribution to care and services development and provided high level support to the aged by demonstrating leadership, innovation and excellence is The Whiddon Group. Whiddon is a not-for-profit organisation that has been providing care and support services to older people for over 70 years and operates in 20 locations across New South Wales and Queensland. In some areas, such as in the far west of New South Wales, they are not only the only provider in town, but the only provider of aged care services for hundreds of kilometres. 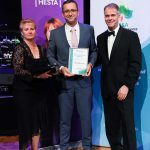 In congratulating the winners LASA Chief Executive Officer Sean Rooney said they represented the best care and services being delivered to older Australians by LASA Members. “Committed and devoted people like Claire, the CarerLinks North team and the staff at Whiddon exemplify the best of what our industry has to offer to older Australians everywhere. LASA would like to thank HESTA for sponsoring the Excellence in Age Services Awards.